Losses may provide a turning point where an individual faces personal and social choices. Still, one may derive significance through the experience of loss, while another may encounter bereavement with less consequence. 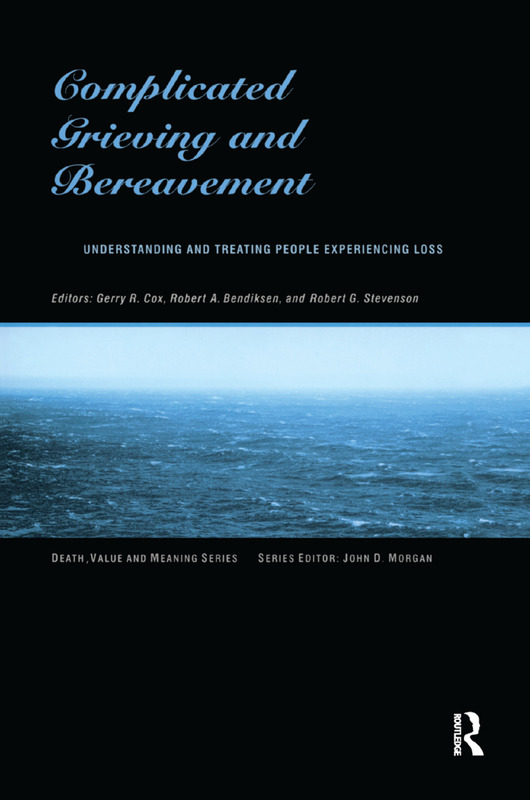 "Complicated Grieving and Bereavement: Understanding and Treating People Experiencing Loss" examines complicated grief in special populations, including the mentally ill, POW-MIA survivors, the differentially-abled, suicide survivors, bereaved children, those experiencing death at birth, death in schools, and palliative-care death. CHAPTER 3 Homicide Bereavement: Scary-Tales for Children Paul T. Clements, Jr.